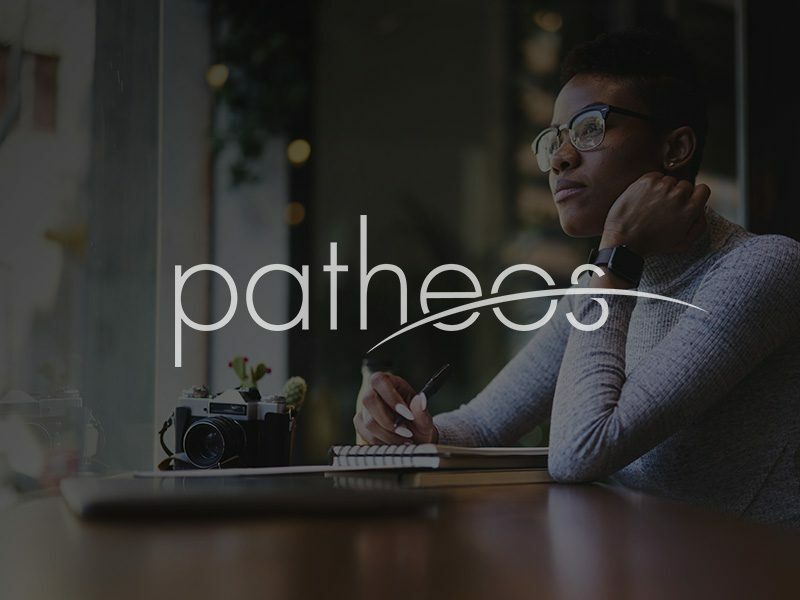 “A drastically oversimplified screed masquerading as analysis.” That’s what one commentator called a recent blog I had written about the influx of young men into the neo-calvinist churches. While he could possibly have been kinder in the comment, I agree the post itself did not examine the some of the greater reasons why that type of church is showing such very rapid growth. I did talk about this several months ago when I wrote a (somewhat) tongue-in-cheek blog about why the UMC is such a dismal failure at church plants. But this is not a joke–and I now offer a better analysis as to why those churches, particularly those part of the Acts 29 Network of church planters, show rapid expansion. 1. No disputes about theology. Everything is laid out and not to be questioned. The core doctrines are simply non-negotiable. 2. Church leadership belongs only to straight, married men. There are no female voices ever in the pulpit, and don’t even start talking about the LGBT community. They are unwelcome. Period. Also, as far as I can tell, no men who have previously been divorced are permitted to serve as a pastor. Clergy wives must be on-board with their planter husbands and are expected to be active participants in the work of the church plants. Furthermore, these church planters are expected to show well-honed entrepreneurial skills and work aggressively toward church growth. 3. Funding: 10% of the proceeds from all the church plants go back to the central network in order to fund more church plants. The minimal bureaucracy funnels very little off. There are no national agencies, clergy pensions or health insurance expenses, bishops and episcopal staffs to be funded, lavish conference offices, concerted action to deal with societal concerns, or organized relief efforts. Seminaries that create these pastors all have independent means of funding themselves. 4. No push for particularly creative worship. There is a planned format and it centers around the preacher. It is all performance-style music, with little congregational response expected. 5. Speaking of preachers, much of the preaching itself revolves around a select few superstars with their sermons broadcast to the various campuses. Campus pastors have the freedom to organize and shepherd small groups and be active evangelists in their local communities. This method frees them from spending countess hours/week in sermon prep. 6. Speaking of clergy time, since the congregations are primarily young at this point, little time needs to be set aside for funerals/memorials/visitation of shut-ins and other complex needs of senior citizens. 7. Speaking further of clergy time: as a non-connectional church, clergy are free from connectional time drains, such as sitting on interminable committees or losing one year out of every four in order to prepare for yet another contentious General Conference where massive amounts of money will be spent but where major decisions will then be reversed by the Judicial Council later. In many ways, I suspect their very success rests upon John Wesley’s original and highly effective model for spreading the Gospel, although Wesley did require his circuit riders to be unmarried men. Unfortunately, the very nature of the current UMC structure, our more open approach to those we ordain as clergy, and the kind of theology we practice makes it nearly impossible to repeat our own historical success. I attend the only egalitarian church in my county, a UMC church. It seems that in another twenty or so years we wil see if the children born into Acts 29 churches stick with it or abandon it. As a former SBC member, the gender role teaching seriously undermined their potential and a great many of the youth left. If both churches are similar in that regard, then Acts 29 will always be one generation away from dwindling. I’m certain a good church is better than a quick one. Thank you–I appreciate your comment here and your projection. It makes sense to me that fewer and fewer are going to want to be in such a gender exclusive place. Time will indeed tell. Boy do I feel sorry for where ever you folks attend church at. Here where I work, our associate pastor is female, she plays a role in service each week. Once every two months, sometimes oftener, she preaches her own message. We have a children’s moments, a children’s message, that is lead by a female. We have single men and single women leading Sunday school etc. as well as ‘married’ folks. YES it is a United Methodist Church. My husband is also pastor (Obviously not where I work at) of a split charge, yes it too is a UMC (located about 20 minutes apart from one another) one service is very rigid and traditional for those who prefer that. The other is not what I would consider contemporary but it has contemporary elements to it. The order of worship is set for the people, not the pastor or the choir director. It, the order of worship, was recently changed to flow more smoothly because as a congregation we felt it was choppy and coordinated. Prior to either of these churches I attended a UMC that had 2 female pastors, and 2 male pastors, they rotated and each spoke one Sunday a month. One contemporary service and one traditional service each week, at two churches. So no offense but the view here is perhaps limited to where you are currently residing at. Suggestion… make change where you are at, and don’t give up. After all a pastor is for but a season before the next rolls in. Then try again. Thanks for writing and I’m so glad you are at a good church. I’m a retired UMC pastor and loved my work–which is not at all like the churches I’ve been attending. My current job is to be a “mystery worshiper” at multiple churches in my area and write about them for the local newspaper. I’ve been writing about what I’ve been discovering at them–and much of it has been sobering and concerning to me. This is just one of the many reflections I’ve written about this ongoing experience. I would add a couple of thoughts about the reasons many United Methodist Church plants and churches fail to grow. First we don’t preach anything like John Wesley. His preaching called for “gasp” personal holiness and piety. He was willing to speak to the fact that his audience was sinners in desperate need of grace, as he himself was. He expected people, once saved, to actually make a commitment to spiritual growth and discipleship instead of merely reassuring them that God loved them. (His audience was not so Biblically illiterate as ours is today. Unlike people today, they would not have interpreted God’s love and unconditional acceptance as meaning that they were good and loveable and not in any need of salvation or change.) John Wesley was unwilling to let people “play church” out of fear of losing the consumerists (See http://wesley.nnu.edu/john-wesley/the-sermons-of-john-wesley-1872-edition/sermon-2-the-almost-christian/. What United Methodist pastor would dare to preach that sermon today?). How many United Methodists have even heard the word repent outside of the Ash Wednesday service liturgy? We are too busy talking about changing the world to take time to repent. After all, if we just focus on social justice and changing the world, we can create the new Eden without any of that unpleasant repentance or help from God, right? Second, John Wesley also preached his faith and not his doubts (e.g., no scholarly speculations about whether scripture was inspired or inerrant). Most people have enough doubts without the church adding to them in ways that undercut the good news. Who knows, if the few scripture passages that speak to homosexual relations as sin reflected only Jewish cultural taboos, perhaps the even fewer passages in 1 John ( and 1 John only) that say “God is love” were uninspired false additions to the cannon in later centuries. With enough scholarly speculation, we can convince everyone in the pews that we are very learned; but that, when it comes to the nature of God and His will, we really don’t know what we are talking about. In a world where there are so many certain voices and people are already skeptical of traditional authority, why should anyone listen to a church that doesn’t seem to know what it’s talking about. If pastor focused worship was adequate for Wesley and the circuit riders who grew the Methodist church from almost nothing, perhaps it should be good enough for us. Perhaps we don’t need to have such creative worship that we sit in the pews unable to really concentrate on connecting with God because we wondering what on earth the worship leader will do next. He encourage his flock to spread the good news, we focus on doing good. I could go on; but I suspect that you get my drift. For practical solutions to doing this right, I suggest Bob Farr’s book, Renovate or Die (http://www.amazon.com/Renovate-Die-Focus-Church-Mission/dp/1426715862/ref=sr_1_1_twi_2?s=books&ie=UTF8&qid=1424820643&sr=1-1&keyword).